In 1956 the Durban Lawn Tennis Association signed a 99 year lease with the City Council of the City of Durban to build and maintain a tennis stadium with a centre court and outside courts, at Westridge Park Tennis Stadium in Mayville. Today Westridge Park Tennis Stadium boasts 25 tournament level hard courts including 7 floodlit courts, as well as a centre court with seating for 7500 spectators. Contributions from The National Lotteries Board have greatly improved the quality and maintenance of the courts and floodlights. Other sponsors include Dunlop and ABI. 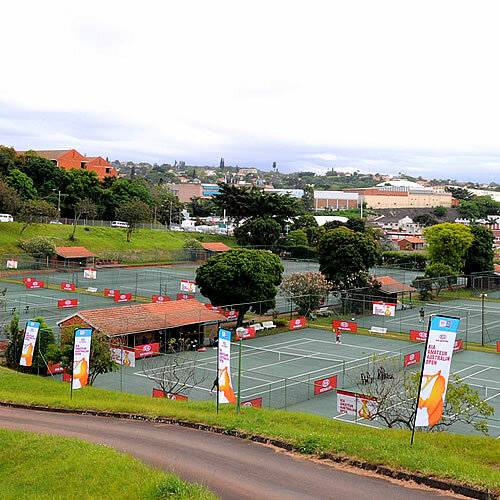 The Durban Lawn Tennis Association, now known as Ethekwini Tennis Association, is responsible for the administration of various tennis leagues during the year with 22 affiliated clubs participating in and around Ethekwini. The centre court has attracted many big successful national and international tennis events including the Davis Cup and ITF tournaments, and has also seen popular music, cultural and sporting acts including the WWE held most recently in 2013. The Westridge Park grounds total approx. 2,8 hectares and parking facilities for 660 vehicles are a favourable draw card for event organizers. Tony Jackson Sports is a specialist racquet store on site and is open Monday to Saturday as well as on major tournament days. Westridge Stadium is also the headquarters of the provincial tennis body – KZN Tennis, as well as the home of KZN Seniors. 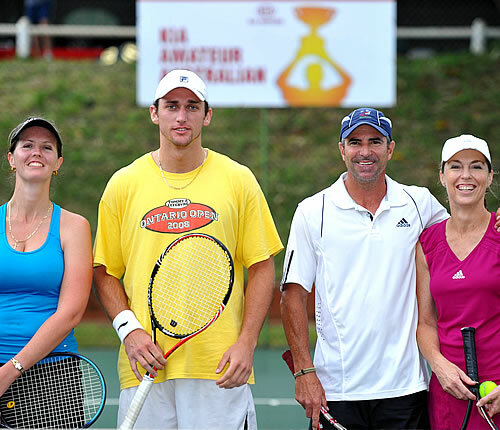 KZN Coaches Association, under the auspices of KZN Tennis have a full list of qualified and registered coaches in KZN – contact us for further information. Since 2008 Ethekwini Tennis Association has conducted Play and Stay coaching sessions, free of charge, for mainly PDI learners at different venues around eThekwini. In 2012 the Department of Sport and Recreation Development offered their assistance in the growth of this programme and together with the receipt of an estate bequest, the Play and Stay hubs are growing in strength and popularity.